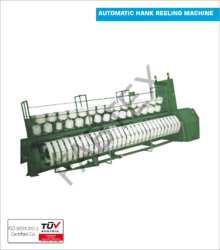 So as to uphold the standing we have built up, we are engrossed in presenting a broad compilation of Wrap Reel Machine. 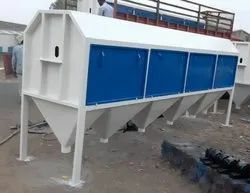 Reel Machine is an important machine being used in precleaning of grains, cereals and pulses for separation by size using nettings of required sizes. It is made for one to four gradation in general as per requirement. With sincerity and hard work of our professionals, we have carved a niche for ourselves in this domain by providing a premium quality gamut of Centrifugal Reel Machine. We offer a superior quality and durable quality Reel Machine. These products are made in adherence to international quality standards. This Reel Machine is known for its long functional life, sturdy construction and high reliability. Capacity: 5 to 7 T/Hr.